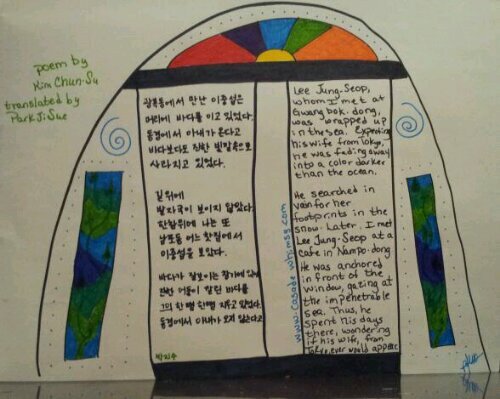 Poem by Kim Chun Su translated and hand written in Korean by Park JiSue (my friend)… English and windows by me at casadewhimsy. Thank you 박지수! 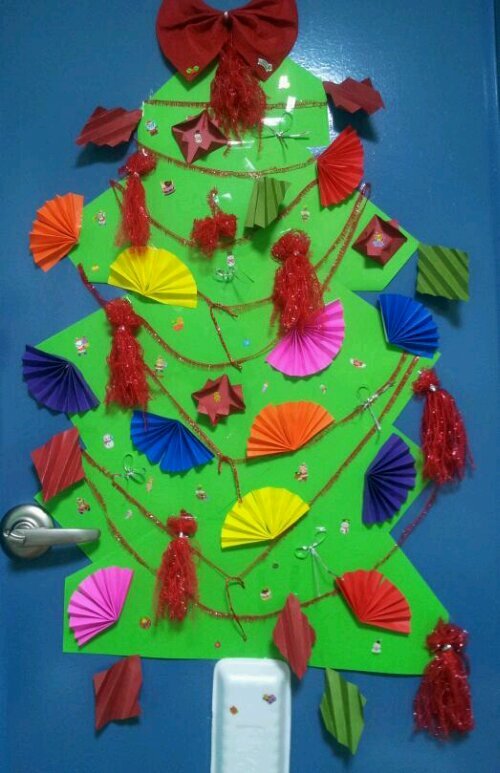 My friend JiSue has never experienced a western style Xmas… We are traveling and staying in a guesthouse so a real tree was impractical…I found some green paper to make a Charlie Brown esque tree and then did the rest of it the eastern way… origami ornaments! What do you think? My sister, Kathy, makes dozens of cookies to give as gifts for Christmas. 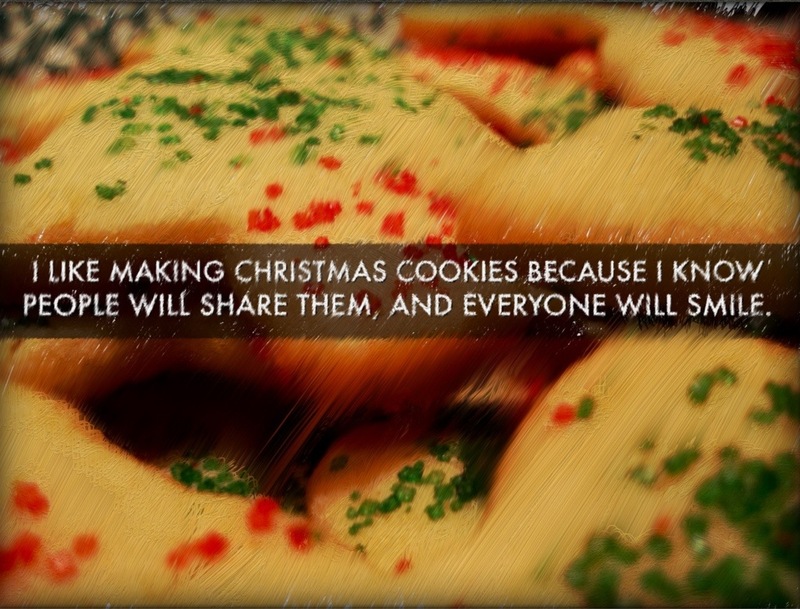 Correction… she makes dozens of dozens of kinds of cookies! Just listening to her list the kinds she makes is enough to make one go into diabetic coma! Snicker doodles, sugar cookies, chocolate covered pretzel, something with candy kisses, snickers bars, Russian Christmas something or others… I don’t know what all! She has a good heart, and she’s an amazing baker. She takes a week to make her cookies. 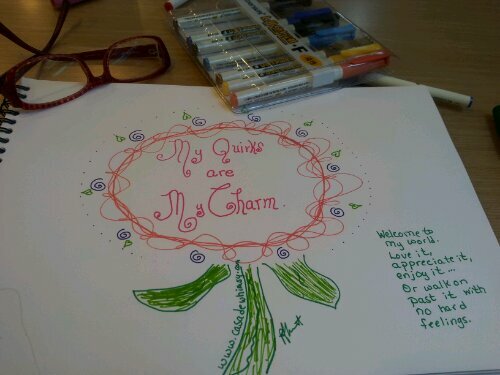 They are not always perfect, but they are perfectly filled with love. They are old-fashioned and sweet and charming… not unlike the woman herself (sweet might be a leeeeetle bit of an overstatement, but I’m her sister and can say that. Woe to anyone else who says it!). Because of the technology of Skype and iPads, I was able to attend her annual Cookie Camp … a one woman show of energy, patience, and organization. The peanut butter cookies were done and so were… I forget what other one. She was making chocolate peanut bark and something else while we chatted. Dinner came out of the oven, and it was time for me to go anyway, but before we hung up, I asked her, “Why do you like making Christmas cookies so much?”. This was her answer. We should all have such motivations when we give. 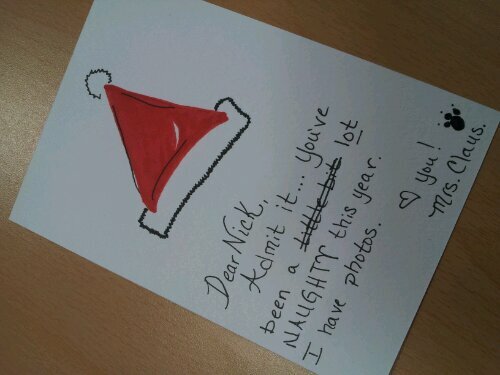 How do you share so the gift keeps giving? *art made using Haiku deck and Foolproof Studio apps for iPad. It is time to make the cards!